Rhinoplasty has become increasingly more popular among black patient and is also referred to as African American rhinoplasty. Although rhinoplasty is a technically demanding surgical procedure in any patient, it can be especially challenging in black patients – achieving the delicate balance between nasal refinement and ethnic congruency – a natural and beautiful looking black nose. As techniques for rhinoplasty have improved, fear of the stigma associated with an “overdone” black rhinoplasty has lessened. However, it is still common for black patients to reference attractive as well as more displeasing nasal appearances in popular black celebrities during preoperative consultations. Successful rhinoplasty in black patients requires an appreciation of ethnic concepts and ideas of beauty and the unique anatomic characteristics present in black noses. These general anatomic characteristics are compounded by the wide-ranging variations in individual anatomy and the relationship of the nose with the larger context of the face. Attaining consistent aesthetic results after rhinoplasty is significantly more complicated in black patients than in white patients. Nasofacial harmony and balance are universal elements of beauty and are the ultimate objectives of any rhinoplasty surgery regardless of the patient’s ethnicity. Traditionally, the standards or aesthetic norms used as references in analysis of the nose and surgical planning were based on the white female nose and face. In relation to this reference, black noses are generally characterized by a wide, low dorsum (bridge), poor tip projection (distance from the junction of the nose with the cheek to the nasal tip), lack of tip definition, significant alar flaring and/or increased interalar width, a shorter nasal length (distance from the radix to the tip), an acute columellar-labial angle, and a low radix (the transition point between the forehead and the root of the nose). There is a considerable degree of variability in black noses, given the diverse ethnic origins of black people. The limitless combination of the above characteristics and degree of magnitude present require the rhinoplasty surgeon to be versed in correcting all and any imbalances that are present. 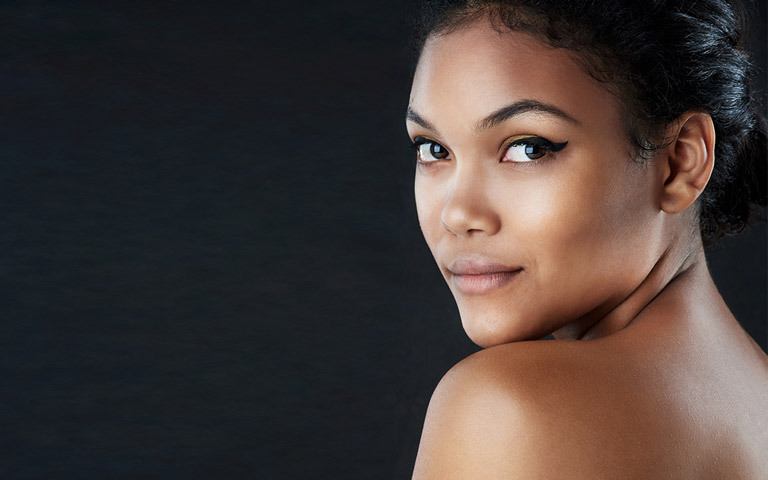 At the Plastic Surgery Clinic, our board-certified plastic surgeons have extensive experience performing rhinoplasty for black patients from Toronto and around Canada. As experts in the field, we employ the latest techniques to achieve the best possible results after your rhinoplasty. For example, traditionally, many surgeons depend on implants to improve the appearance of the bridge or tip. These implants may cause some problems long term – years later. We primarily use your own tissues to shape the bridge or tip to avoid using any implants. Cartilage and fascia grafting, as well as diced cartilage-fascia grafts are used by our plastic surgeons commonly during rhinoplasty for black patients to improve the appearance of the bridge and tip. These techniques work well short term but also years later. Our goal is to create a nose that is beautiful and in harmony with your facial features – a natural appearing result. In this way, the result after rhinoplasty will complement and enhance facial appearance while ensuring that your ethnic features and cultural identity are preserved. 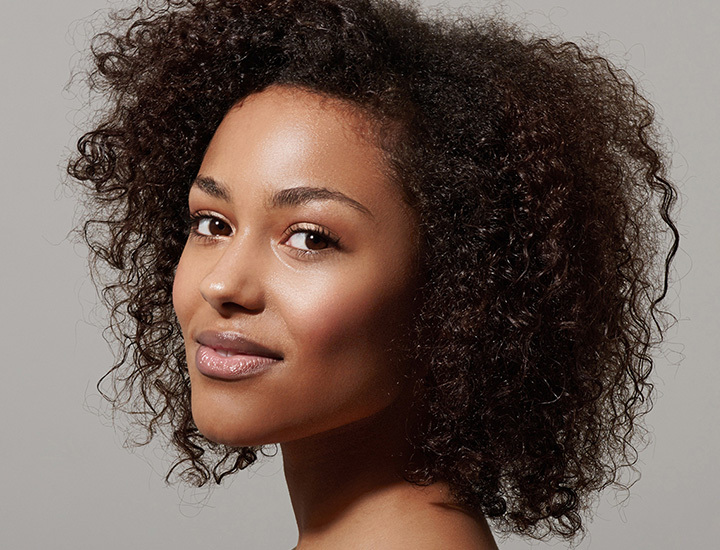 At The Plastic Surgery Clinic, our surgeons are delighted to have helped many African American rhinoplasty patients who have visited our Toronto and Mississauga clinics to achieve their ideal facial features. We are proud to be able to join our patients on this important journey, but we also understand that many patients who choose to undergo rhinoplasty surgery can feel anxious about the procedure. That’s why we always offer complimentary consultations, regardless of whether or not you decide to proceed with surgery. All of our patients deserve to feel as comfortable and at ease as possible, so it’s important to us to ensure that all patients have as much time as they need to ask every question and voice every concern. Dr. Ahmad, Dr. Lista and Dr. Austin will explain to you exactly how your procedure will be performed and the results it will help achieve. We have found that this open and personalized approach relieves anxiety and helps our surgeons deliver highly satisfying results. How Much Does African American Rhinoplasty Cost? While most cosmetic surgery procedures are not normally covered by company health insurance plans or by provincial health coverage, several of our patients are pleased to find out that the procedure they desire is in fact quite affordable. There are also payment plans available from major financial institutions for those who would like to take advantage of longterm payment options. We have encountered many patients over the years who have told us that, months and years down the line, it wasn’t simply a one-time expense but rather a permanent investment in their happiness and self confidence. To inquire about the price of rhinoplasty for black patients, please contact us by phone or e-mail or by filling out the Request for Information form below.